A brand new small group and team training program guaranteed to bring you results. Doing the same thing over and over does not produce results. Workouts that constantly change and challenge you are the key to your fitness success. FUSION small group and team training at our health club in Mechanicsville delivers just that. Come it out and see what everyone is talking about. 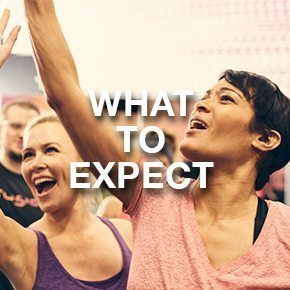 Start your workout at our gym in Mechanicsville with a warm-up led by your FUSION coach. Your muscles will be ready for a full body workout that leaves you sweating and looking forward to more. Our American Family Fitness gym location in Mechanicsville makes it easier than ever to stay-on-track during your fitness journey. View our FUSION small group and team training schedule online to find your next class. Learn more about our world class small group and team training coaches online today! Our dedicated FUSION team is eager to help challenge and push you to be the best version of yourself.